If you want to grow your church, then you have to face the reality that growth in attendance means that more people actually need to attend your church. Brilliant right? So now the real question: How? How do you get more people to attend? Thom Rainer has some great thoughts on how to break attendance barriers regardless of the current size of your church. These groups may be home groups, small groups that meet in coffee houses, Sunday school classes, ministry groups, and others. Church leaders are intentional about creating groups on an ongoing basis. They typically have goals for the number of groups they start. 2. Create new worship services. A church moves from one service to two, or from two to three, or even more. The move is typically precipitated by one or more services running out of space. This principle is similar to adding worship services, but the church uses a different facility for the new service. That new facility may actually be a new campus. It may be an ethnic service meeting in the church facilities in a different room than the worship center. It may be a merged church from another location. The possibilities are many. 4. Have a major event. The church’s strategy is to have one or more events that will create sufficient excitement for members to invite those who aren’t attending church. That event may be tied to a major holiday such as Easter, Fourth of July, or Christmas. It may be tied to a significant tradition in a church. The plan is to get people to attend who would not regularly attend. Evaluation: I have studied a few hundred churches that use the big event as their major growth strategy, and the results are not good. Attendance tends to rise for a few weeks on and after the event, but then it settles down to previous patterns. Churches can spend a lot of money on big events, but I hardly ever see a church break an attendance barrier consistently, even with those large amounts of resources dedicated to it. What about your church? 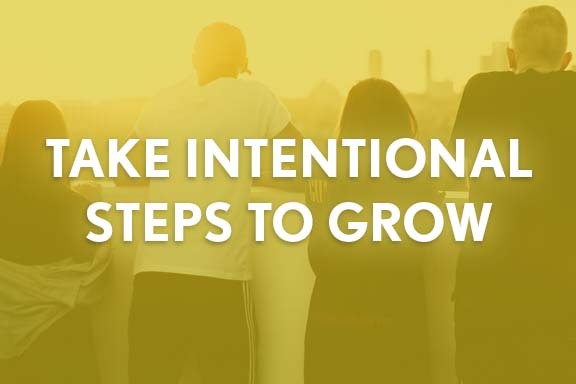 Are you taking intentional steps to grow? Are you evaluating different strategies that can lead to attendance growth in your church?